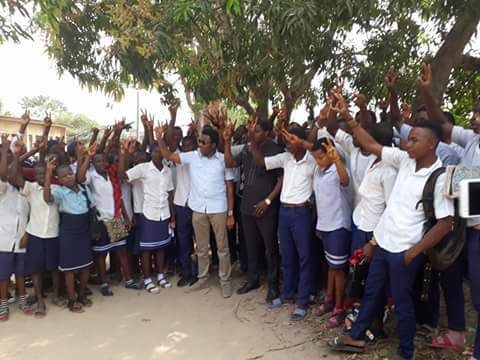 BENEFICIARIES OF WAEC PAYMENTS FROM HONOURABLE DEACON CHIKE OKAFOR EXPRESSED GRATITUDE..
.......As Non Indigenes Join In The League Of Beneficiaries. The Honourable Member Representing Okigwe South Federal Constituency in the Federal House of reps, Hon. Deacon Chike Okafor, yesterday, paid visit to Umulogho community secondary school Obowo, and Amainyi Community secondary school Ihitte Uboma, with both schools serving as the centroid areas in those local governments, in his WAEC payments for the students of Okigwe South Federal constituency, which saw the students jubilating and singing his praises all through the visit. 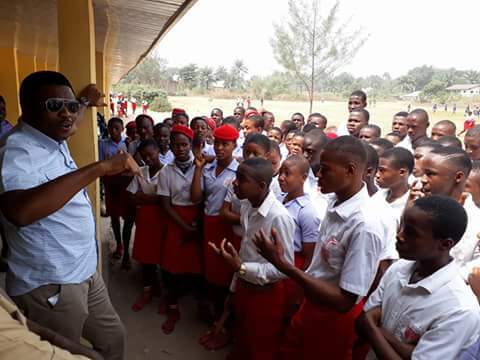 His first point of call was at Umulogho community secondary school before navigating to Amainyi secondary school, where he had chit-chats and counselling with the beneficiaries, geared towards motivating their spirits to make good use of the opportunity he has provided for them which will enable them become useful to their families and the larger society. Deacon chike Okafor challenged the WAEC beneficiaries to study very hard and pass their WAEC exams which is the only way they could reciprocate his good gesture. In Umulogho community secondary school, something very symbolic took place. All the non indegenes from the neighbouring Abia state, numbering about 10, were equally incorporated and their WAEC fees paid by the honourable member after pleading and complaining bitterly that WAEC examination could elude them due to lack of money. 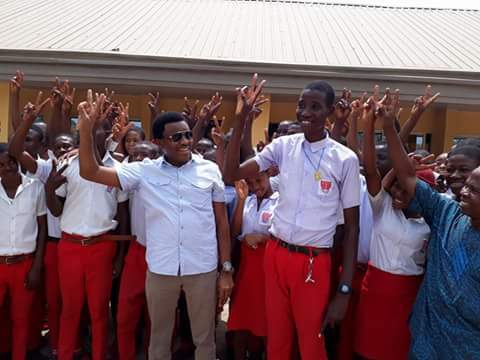 He further challenged the students that the overall three (3) best shall be rewarded with scholarships which will see them throughout their stay in the university, amid untamed jubilations from the crowd of students and their teachers . He recapped by admonishing them on the benefits of education which he disclosed as the best gift to mankind. Students and teachers of both schools used the opportunity to pour encomiums on the honourable member, with heart full of emotions and joy prayed God to continue to bless him and his household for remembering the poor in the society.